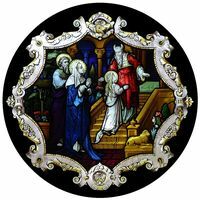 Saint Anne had all but accepted that she would never have children when an angel of the Lord came to her and told her that she would have a daughter. 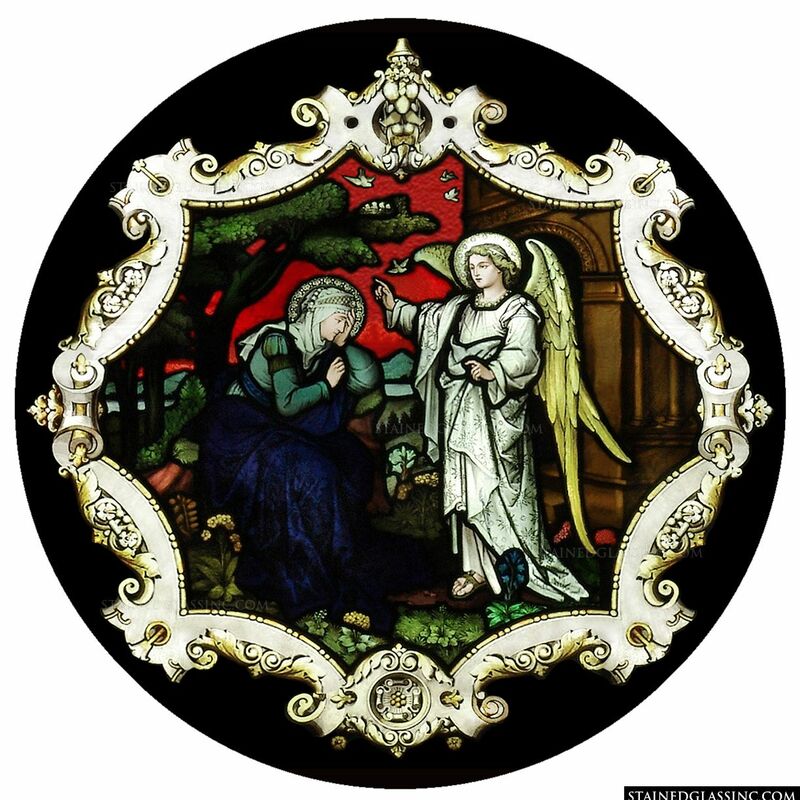 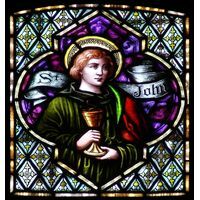 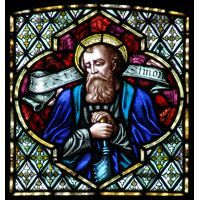 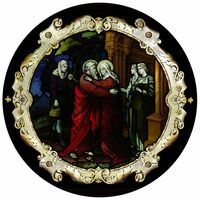 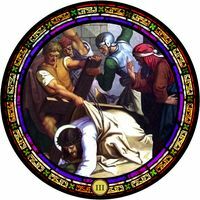 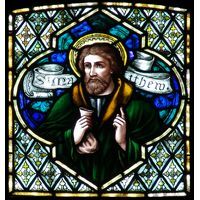 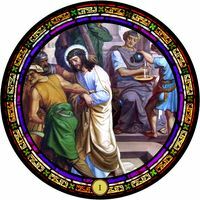 This scene is depicted here in beautiful stained glass. 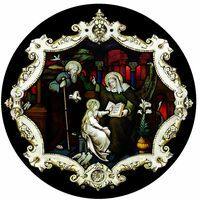 Crafted in breathtaking rose window style, this tableau is framed in ornate, elaborate detail that sparkles like fine silver. 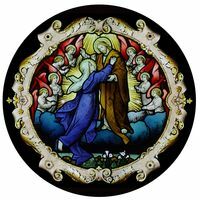 Featuring rich, vibrant color and naturally varied textures that capture and reflect rays of light that dance along the surface in shifting shades and patterns throughout the day and after dark. 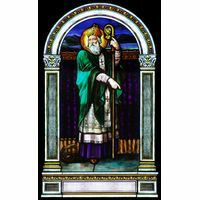 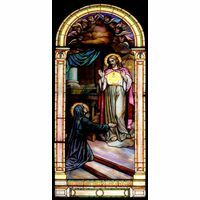 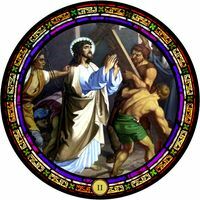 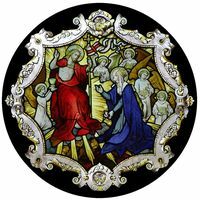 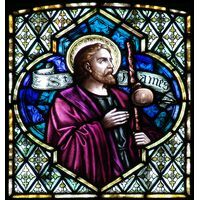 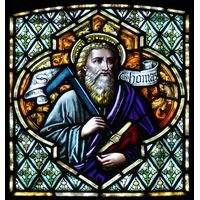 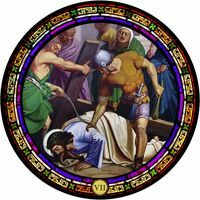 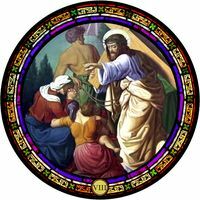 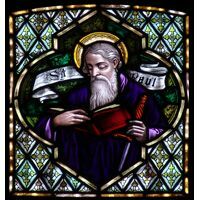 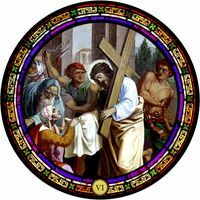 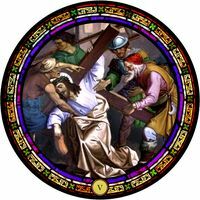 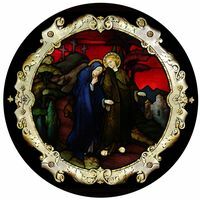 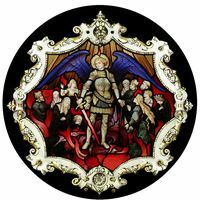 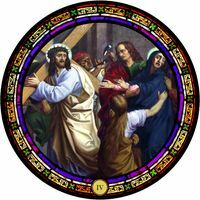 An inspiring, uplifting enhancement for church, chapel or Saint Anne shrine, this work of stained glass art is also perfect as a signature work of art for home or business decor. 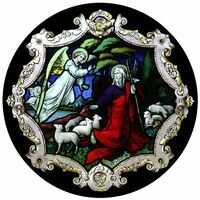 Created as a one of a kind design by master stained glass artists in the studios of Stained Glass, Inc., this lovely piece is a true treasure.